Col. William B. Hazen and his 41st Ohio Volunteer infantry have just arrived in Kentucky. By now, hard-driving, tough-minded Hazen has decided that one of the most promising men in his 41st Ohio is a tall, balding ex-storekeeper from Warren, Ohio, named Emerson Opdycke (pictured above). Hazen is keeping an eye on him. Today, Opdycke writes his wife, Lucy, to tell her of his arrival in Kentucky and to boast of how he has impressed Hazen. The admiration is mutual. Opdycke likes Hazen’s no-nonsense approach to all things military and he models himself on the West Pointer. Like Hazen, he is strong-willed and quick tempered. Unlike West Pointer Hazen, Opdycke has no prior military experience. Opdycke is first lieutenant of the 41st Ohio’s Company A. He is vain, covets promotion, and hopes soon to become a captain of Company A. Only time will tell if this volunteer citizen-soldier will prove worthy of Hazen’s trust. Only five days ago, the 41st was stationed at Gallipolis, Ohio, to help keep an eye on western Virginia, just across the river. Now the regiment is at Camp Jenkins, about 6 miles from Louisville, where Maj. Gen. Don Carlos Buell makes his headquarters. An Ohioan, Buell commands the Army of the Ohio, of which the 41st is now part. In his letter to Lucy, Lieutenant Opdycke calls Camp Jenkins “a terrible mudhole.” He mentions the weather (cold, and it snowed last night) but says a stove purchased for $4.50 is keeping his tent warm. Then he gets to the most important news. In the “regular classes for study and recitation” Hazen requires of his 32 officers, Opdycke ranks highest in Hazen’s grade book. “I see more real occasion for congratulating myself, [now] that I have gained as a honorable position as I...hold, “ he tells Lucy. In fact, Opdycke is so confident of promotion that he tells Lucy he will turn down an offer—as yet, only hinted at—to join Brig, Gen. Jacob D. Cox’s staff in western Virginia as an aide. That would be an advancement of sorts and he likes Cox, but Opdycke thinks his prospects for advancement are better where he is now. And, although he doesn’t say so, he yearns for combat and considers western Virginia an unappealing backwater of the war—a sideshow. Hayes’ harsh opinion is not unique. Many Ohio soldiers are dismayed by the poverty and lack of education of the citizenry here. Scattered among the region’s hills and valleys, many western Virginians live isolated lives of unremitting labor, forced to scratch out bare livings from small, hillside farms. >>> In other news of the day, the British foreign secretary tells his ambassador to the United States to tell the Lincoln administration it must turn over the Confederate commissioners it captured on the high seas and offer an apology for the “Trent affair.” Otherwise, the ambassador will be recalled. In Washington, officials continue to fret over what to do. As usual, skirmishing between Federals and Confederates continues to break out here and there, with no reports of in casualties in incidents in Missouri and western Virginia. The American Civil War is notable for the number of colorful characters who emerge on both sides. One of these is William Starke Rosecrans (right)…an inventor, businessman, engineer…and memorable soldier. Rosecrans soared into prominence early in the war but will drop from sight halfway through it. Only a few months ago, Rosecrans was a Cincinnati businessman still recovering from severe burns suffered in a laboratory accident a year and a half before. Now he is a brigadier general of volunteers, charged with defending western Virginia against Confederate efforts to reclaim it. Today he must report to Washington on his situation. Born in Delaware County in Ohio’s mid-section in 1819, Rosecrans was the great-grandson of Stephen Hopkins, one of the signers of the Declaration of Independence. The Ohioan was an excellent student at West Point, graduating in 1842, fifth in his class. While in the army, he served as an engineer building fortifications in Virginia and later was an instructor at West Point. Like many other young officers who saw little chance for advancement in the arteriosclerotic army, he resigned in 1854 and turned to business. Shortly after the outbreak of the Civil War, Gen. George B. McClellan called him into service in the western Virginia campaign of late spring and early summer of1861. Rosecrans planned and carried out a Union victory at Rich Mountain, but McClellan got the credit (and gladly took it), then was called east to higher command. Rosecrans took over McClellan’s command of western Virginia, where he is now. Rosecrans is a curious man: extremely bright, fond of his troops (who affectionately call him “Old Rosy”), but highly excitable and short-tempered. Moreover, since he converted to Catholicism while teaching at West Point he has become obsessed with the subject, keeping his staff up late at night while he ruminates on religion. (Rosecrans employs a rich stock of profanity, which he excuses on the ground that he is "never blasphemous.") His enthusiasm for Catholicism is so strong that his brother converted as well, and became a Catholic cleric. Rosecrans tends to favor his troops more than his officers. Ordinarily, he is a cautious and fussy commander, but he can be rattled. In battle, he tends to stutter with excitement. He does not lack courage, but his oscillation between caution and excitability will eventually cost him dearly. This month, Union troops occupying western Virginia are settling into winter quarters, meaning a period of forced inactivity for both sides. There will be little more action than occasional skirmishes when enemy patrols brush each other in the winter woods. On this day Rosecrans writes an obligatory report to Washington on the disposition of his troops. He reports having about two dozen regiments of volunteers, most of them from Ohio. That means he must protect several thousand square miles of rugged landscape with an estimated 15,000 men, dispersed in small groups among the hills and valleys. Union forces are vulnerable to attack at any point by a concentrated force. But so are the Confederates. By 1861, the last Thursday in November has become a popular American tradition, but not one universally observed. For many, it is, unofficially, a day for family and feasting, as well as religious observances (but not for Christmas shopping). However, not every state government recognizes it, nor has it become an annual Federal holiday. This year, however, there is an urge to express gratitude for America’s freedoms and the service of its soldiers. Twenty mostly Northern states, including Ohio (others named below), issue formal declarations of Thanksgiving. In the nation’s capital, earlier this week, President Abraham Lincoln proclaimed the day a local holiday for Federal government workers. The President invites guests to dinner at the White House. Among the guests: an old friend from Illinois, Joshua F. Speed. 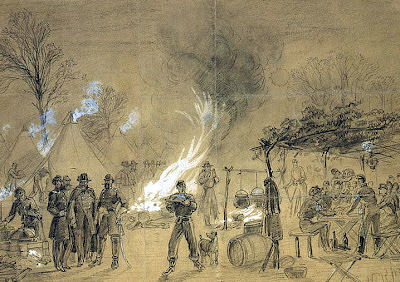 Thanksgiving is observed in many military camps (Illustrated above: “Civil War in Camp, 1861” by wartime sketch artist Alfred Waud). Turkey is the favored dish, although many other foods are consumed. In some camps there is trooping of the colors and a Thanksgiving religious service, followed by soldiers dancing, singing, and playing games (including hopscotch!). >>> In addition to Ohio, according to The New York Times, these states issued proclamations of Thanksgiving for November 28: Connecticut, Delaware, Kentucky, Illinois, Indiana, Iowa, Kansas, New York, New Hampshire, New Jersey, Maryland, Massachusetts, Michigan, Minnesota, Pennsylvania, Rhode Island, Texas [? ], Vermont, Wisconsin. In other news today, the Confederate Congress “admits Missouri to the Confederacy,” an act with no real consequence, for the state remains in the Union. The act applies only to an opposition “government” created in the state by secessionists, but which never gains ascendency. Ulysses S. Grant (right) is irritated. The 39-year-old brigadier general, commander of the District of Southeast Missouri, sits down to write his father a letter. It is coolly polite. The general’s father, Jesse Root Grant, has been asking for trouble. The senior Grant, who now lives in Covington, Kentucky, just across the river from Cincinnati, is a man whose interests lie, first, in making money for Jesse Root Grant; second, in expressing his opinion on all things; and, third, in abolishing slavery. Sensitivity is not his forté, and his hide is as thick as the leather he manufactures. Jesse has barraged his son with a variety of complaints, wheedlings, and ill-informed opinions. He wants Ulysses to use his influence to secure government contracts. He thinks his son should write him more often and tell him what he planning and doing. He criticizes the way the war is being conducted and what it aims to do. The son sighs and sets to work responding in the same usual clear, brief, and direct way he issues orders to his soldiers. There is no ambiguity in anything Ulysses S. Grant says or writes. The commander softens things a bit by saying Give my love to all at home.” He mention is that Julia has gone to visit her father in St. Louis. Later she will visit the Grants in Covington, he promises. Even in a time of war, the little conflicts of family life persist. >>> News of the Trent affair—the Union navy’s arrest of two Confederate envoys on their way to England aboard a British ship— reaches British shores today. The public is aroused and newspapers scream, “Outrage on the British flag.” As some in Washington had feared, what seems a heroic act to the public threatens to turn into a diplomatic crisis. As the feisty Col. William B. Hazen’s 41st Ohio prepares to leave Ohio for Kentucky, thousands of other Ohioans stay home but fight for the Union in their own way. They are the women of Ohio (right). Many are the mothers, wives, sisters, and sweethearts of the soldiers, but others are simply patriotic women who want to do their part. And their part is an important one. Especially in the early months of the war, soldiers often lack even the basics in medical supplies, clothing and bedding, and food. This is especially true of the Western armies, which often dangle, poorly supplied, at the end of long, cumbersome supply lines. It is likely that some battles will not be won for the Union—let alone fought—without the support services of volunteer women. As soon as the war broke out, women in cities, towns and villages across Ohio began meeting in farmhouse kitchens and church basements to roll bandages, knit socks, and can food. The Cleveland Soldiers’ Aid Society, possibly the first of its kind in the nation, sprang into existence within a week of Fort Sumter’s surrender. One of the Cleveland women’s first campaigns was a “blanket raid” (as they called it) during which they went cold-calling door to door throughout the city. In two days they collected a thousand donated blankets to give to a regiment of raw recruits who arrived in camp with only the clothes on their backs. Across Ohio, hundreds of smaller aid societies in towns and villages channel the work of their hands to the main branches, which forward them to the western armies. Some women volunteer to do nursing in military hospitals both inside and outside the state. The work the women do is so important that a government official termed them “a second great army…working scarcely less earnestly and efficiently for the same great end” as the soldiers. >>>In Boston, the local grandees throw a banquet in honor of Capt. Charles Wilkes, who commands the San Jacinto, the Navy vessel that stopped the British mail steamer Trent and removed Confederate envoys Mason and Slidell. That made Wilkes a national hero, but already members of the Lincoln administration are fretting about the potential for British anger. In Wheeling, delegates from throughout western Virginia begin meeting to write a constitution, part of an effort to win statehood from the Union government. Meanwhile, at two points in eastern Virginia, Union and Confederate troops skirmish, with Pennsylvania cavalrymen taking a few casualties. Another skirmish occurs near independence, Missouri, with no casualties reported. “The 'Northwest' Will End the War"
In war, things can change in the wink of an eye. Today is an example. The day starts with Col. William B. Hazen, commander of the 41st Ohio, stationed in Gallipolis, Ohio, preparing a lightning strike against Confederate raiders causing mischief in western Virginia. Hazen plans to cross the Ohio River and--uninvited and without orders--enter the region, properly the domain of Union Brig. Gen. William S. Rosecrans. Old Rosy is irritated by this bold interloper from Ohio, but Hazen—a veteran Indian fighter who fears no one—doesn’t care a fig what Rosecrans thinks. Suddenly, Hazen receives orders from elsewhere to join Brig. Gen. Don Carlos Buell’s new command, headquartered in Louisville, Kentucky. The lightning strike into western Virginia is abruptly abandoned and Hazen begins barking orders in another direction. He takes a moment, however, to toss a last insolent message over his shoulder to Rosecrans’ headquarters: “I am not a little surprised at the tenor of your last dispatch,” he writes, annoyed by the busybody tone of that message. Saucily, he asserts that plans made by experienced Indian fighters who, like himself, know their business “invariably succeed.” Take that, General Rosecrans, and goodbye. Hazen and his regiment are part of a troop buildup in Kentucky—just the thing that Buell's predecessor, William Tecumseh Sherman, had begged for. Ironically, Sherman has been gone from Kentucky only a few days. In both Kentucky and western Virginia, therefore, Ohio has supplied the largest number of troops. Ohio is the linchpin of the Union’s Western Theater operations. His mustachios tapered down to dangerously sharp-looking stiletto points. His snapping dark eyes were so piercing that photographers almost always posed him looking off to one side. Trying to look at the man head-on simply would be too daunting to the viewer. That’s William Babcock Hazen (pictured above), a brave and talented soldier without an ounce of tact. His friend Ambrose Bierce would call him the “Best Hated Man” he knew, and meant it as a compliment. Hazen knew his business. He just didn’t know how to hold his tongue. Born in Vermont, Hazen grew up in Hiram, Ohio, where James A. Garfield was a close friend. A West Pointer and career army officer, before the Civil War Hazen served primarily in the Indian Wars and was severely wounded during a fight with the Comanches. While convalescing he was given light duty as an instructor at West Point, where he squirmed in frustration as the Civil War broke out without his participation. By mid-September, however—probably with Garfield’s help and only after an appeal directly to President Lincoln—Hazen had won the colonelcy of the 41st Ohio, then in training at Camp Wood near Cleveland. The newly minted colonel hit the parade ground running, issuing order in rapid-fire order on everything from cleanliness to haircuts. He drove his young charges mercilessly from reveille to lights out, seemingly as “insensible to fatigue as a threshing machine,” two veterans of those days recalled later. It was drill, endless drill, all day long with intervals during which the panting young soldiers had to study military books, on which they could be expected to be tested. "There was no idle time," as Hazen himself put it. In mid-November, Hazen and the 41st Ohio were ordered to Gallipolis, on the Ohio border with western Virginia. Hazen quickly demonstrated his tactlessness by treading on the toes of Brig. 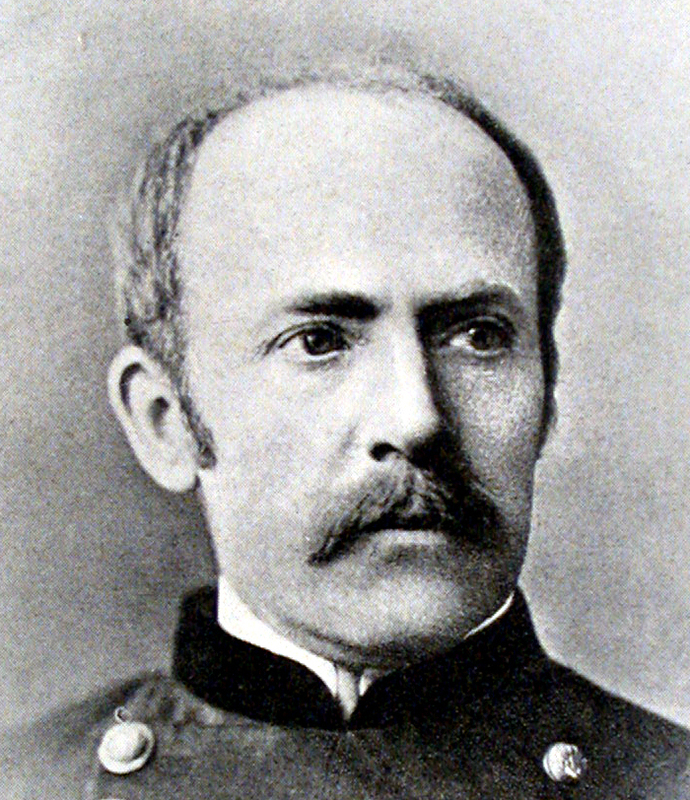 Gen. William S. Rosecrans, who has responsibility for western Virginia. Today, Hazen, who is not under Rosecrans’ direct authority, is planning a lightning strike in Rosencrans’ territory with no regard for Old Rosy’s wishes on the matter. Hazen’s hard-headedness, predilection for feuds, and fearlessness as a whistle-blower will win him enemies throughout the rest of his life (and some examples will be reported here at appropriate times). No one will ever doubt his courage, however. >>> Skirmishing erupts at Johnstown and Lancaster, Missouri. A loyal Missouri infantryman is killed, two others injured. The Navy warship San Jacinto, carrying the captured Confederate envoys Mason and Slidell arrives in Boston, where the Confederates will be held in Fort Warren. Lincoln and his cabinet puzzle over what to do about them. Badly rattled by the pressures of command in Kentucky, Brig. Gen. William Tecumseh Sherman reports to the headquarters of the Department of the Missouri in St. Louis. The department commander, Maj. Gen. Henry W. Halleck (shown above), gives Sherman a position on his headquarters staff. Now Halleck has under his orders two relatively unknown officers with unknown futures: Brig. Gen. Ulysses S. Grant, commander of the District of Southeast Missouri, and Sherman. How will he use these men? Halleck is a smart man. He graduated third in his class at West Point and is the author of Military Art and Science. For his erudition, he is known throughout the Army as “Old Brains.” He is a skillful organizer and administrator, a man of paperwork and bureaucracy. Like many other West Point graduates, Halleck retired from the calcified Army in the 1850s, discouraged by the limited opportunities for advancement. Originally from New York, he moved to California where he became a highly successful lawyer. With the outbreak of the Civil War, his reputed abilities won him a place on the Union military’s fast track, starting with a major generalship. Now he has a chance to put that book learning to work. An old friend of Sherman’s, Halleck sympathizes with the frazzled Ohioan and promptly puts him in a “safe” staff position. Sherman’s first assignment: tour the state, count noses, and tell Halleck just how many soldiers he has, where they are, and how well equipped they seem to be. The job should not faze Sherman . But it will, as Halleck will quickly learn. >>> NOTE: Thanksgiving in 1861 will be observed next Thursday. "The Horror of That Night"
Not all the horrors of war occur on the battlefield. In April, a boyish, beardless Thomas F. Galwey of Cleveland slipped into the ranks of the 8th Ohio Volunteer Infantry, although he was only 15 years old. Youthful enthusiasm prompted many under-age boys to join the service; haphazard military examinations allowed it. Galwey’s intelligence and energy quickly won him a sergeant’s rank in the 8th Ohio’s Company B. But the youthful sergeant would confront cruel reality all too soon. After the 8th Ohio had helped capture the western Virginia town of Romney in late October, the Ohioans were assigned to guard a suspension bridge nearby. On “one gloomy day” in mid-November, as Sergeant Galwey would recall later, the 15th Indiana, on its way to Romney, filed by the Ohioans . Liquor began circulating among the two regiments as they brushed each other and many men of the 8th got drunk. Even some soldiers standing guard became inebriated. About dark, a party of 15 men crosses the bridge, bound for a shanty where liquor is being sold. Fighting breaks out and a gunshot is heard. A squad is sent to bring the rioters back, and in the dark the party stumbles over a dead body. The body, identified as Pvt. Stephen J. Carr of Galwey’s own company, has been stabbed through the throat with a bayonet. >>> In the East, Union warships begin bombarding Confederate installations at Pensacola, Florida. Still in Louisville and still in turmoil over the Union cause there, Brig. Gen. William Tecumseh Sherman (shown on right) pours out his feelings. To politician-brother John Sherman, Cump writes that he wishes he could “now hide myself in some obscure corner.” In a few days, he will do almost exactly that. He will be transferred out of the Department of the Ohio to the Department of the Missouri, where he will take a mundane staff position under Maj. Gen. Henry W. Halleck. 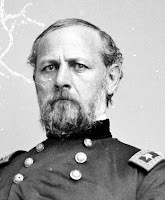 Fellow Ohioan Don Carlos Buell has taken over Sherman’s Kentucky command and seems headed for glory while Sherman seems destined for oblivion. But stunning reversals of fortune await both Buell and Sherman. >>> Elsewhere, in an age of open n anti-Semitism, something unusual happens in the Confederacy. CSA Attorney General Judah P. Benjamin, a Jew, becomes the new secretary of war. Benjamin will do as well as anyone could have in an extraordinarily difficult position, but after a few months he will change to the secretary of state’s position and serve there until the end of the war. Eager for combat, Grant wastes no time contacting Maj. Gen. Henry W. Halleck, who took command of the Department of the Missouri only yesterday. 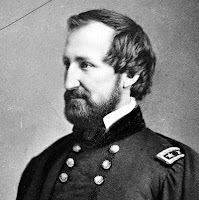 Grant had been talking with Halleck’s predecessor, General Frémont, about sending an expedition down the Mississippi River. 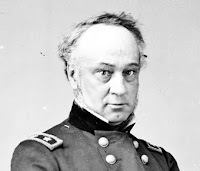 Grant carefully does not mention this in his telegram to Halleck, Instead, he only asks to be allowed to see Halleck personally in St. Louis “with the view of making known in person the wants & conditions of this command.” We can guess what Grant’s biggest “want” is. Halleck, who is endowed with an abundance of caution but a shortage of patience, either sees through Grant’s little subterfuge or is just too busy settling into his new office. He snaps back by wire, “You will send reports, in writing…. [You] cannot just now be ordered to St. Louis.” So there. Grant, who knows how to attack on more than one front, also writes a letter to his Congressman, Elihu B. Washburn, who lives in Galena, Illinois, where, for about a year, Grant lived as well. Washburn helped Grant win his appointment to the volunteer army and now is the general’s patron and advocate in Washington. He has helped secure improved weaponry for Grant’s forces. But Grant obliquely works into the Washburn letter some of the thought behind the doomed telegram to Halleck. Because of its strategic location on the Mississippi, he writes, Cairo should be the launching pad for a thrust southward to wrest control of the river from the Confederacy. Grant disavows asking for anything for himself, but he is asking to be turned loose against the enemy. He wants to raise the curtain on some action in the Western Theater. In the Eastern Theater, on the other hand, the problem is quite the opposite: Maj. Gen. George B. McClellan seems rooted to the soil near Washington, always citing reasons why the time is not right to strike the enemy. The contrast between the two generals could not be greater. And, with time, the contrasts between the eastern and western theaters will only grow. President Jefferson Davis of the Confederate States of America gives an upbeat “state of the Confederacy” address to the Confederate Congress, not failing to include some of the secessionist rant that is so jarringly self-contradictory. “Liberty is always won where there exists the conquerable will to be free,” he tells the representatives of people dedicated to enslaving other people. No doubt he delivers this astonishing thought with a straight face. As always in human affairs, nothing in the Civil War is as simple as we assume. That's illustrated by what happens today in North Carolina and Kentucky. In the North, Radical Republicans cry for all-out, punitive war against the South and the immediate freeing of all slaves, everywhere. More pragmatic Republicans—among them, Abraham Lincoln—prefer a more judicious use of force and a measured approach to emancipation, to avert backlash from the handful of slave states remaining in the Union. Opposing the Republicans are the “War Democrats,” who favored continuing the war to re-unite the Union, but not necessarily to disturb slavery, and the “Peace Democrats,” who demand a negotiated peace with the Confederacy, which implies acknowledgement of both secession and slavery. While the North sometimes violates the civil liberties of extreme critics, dissent tends to be more widely, and often violently, suppressed in the South and most Union loyalists have to lie low. However, some pockets of resistance dare take action. Unionists in eastern Tennessee form one example. Another is the loyalist resistance in North Carolina. On this day, examples of such dissent occur in both the Union and Confederacy. In North Carolina, a convention of Unionists on the coast repudiates the state’s secession and names a provisional government loyal to the Union. In Kentucky—officially a Union state, but with a very divided population—Rebel soldiers meet at Russellville in the thin slice of territory controlled by the Confederacy. They declare that Kentucky has “seceded” and that they are setting up a parallel state government in opposition to the loyalist one dominating the state. Needless to say, neither endeavor will prevail, but both will cause heartburn in the state governments they oppose. "Love in a Time of War"
Among the Civil War’s leading generals, Ulysses S. Grant probably was the calmest in battle, the most inner-directed, and the most capable of keeping the big picture in mind. Making all that possible were his secret weapons: his wife, Julia, and their four children. All soldiers drew strength from the support of their families. Over the course of the war, caring wives and sweethearts would mean more to men’s morale than almost anything else. Anyone reading soldiers’ mail from long ago is struck by how the men constantly begged for letters from home. To them, the letters signified how much they were cared for and how a “normal” world still existed, away from the battlefield. And that could make all the difference to being a dedicated soldier. Civil War literature has not paid enough attention to the crucial role of ordinary women in supporting the troops. For Grant, Julia and the children provided a snug harbor of normalcy, an anchor that helped him weather the terrible demands of war. During their courtship, he wrote Julia from New Orleans, “You can have but little idea of the influence you have over me, Julia…” That didn’t mean Mrs. Grant ever had a voice in her husband’s strategic thinking. The practice of war was strictly his, and she was no “co-commander.” Instead, Grant drew moral strength from Julia and the children. They formed the emotional foundation on which Grant built his extraordinary wartime achievements. The unpretentious Grant usually dressed in an ordinary soldier’s uniform with only a general’s shoulder boards added, but, whenever it was safe to do so, he would exercise one privilege of rank: he would bring his family to live with him at headquarters. 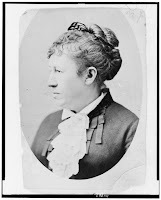 Julia Dent Grant was a strong, stocky woman with a muscle weakness that kept her eyes from aligning with each other, causing her to require photographers to take her image only in profile. She wasn’t a classic beauty, but her bubbly personality and self-confidence gave Grant a firm base that sustained him through the trials and tribulations of war. The Grant family had rooms in the general’s headquarters building. The building was Spartan, resembling a “great barracks,” Julia would recall later. But, with effort, she and the children managed to be comfortable, and the personable Julia quickly made friends. The Grant family found occasional diversion in the general’s reviews of his troops, at which the band would play “Hail to the Chief.” Several times Mrs. Grant ventured short distances down the Mississippi River on flag-of-truce boats. In Cairo, danger lurked over the horizon and the living was hardly plush, but “Ulys”—Julia’s pet name for husband—and his family were together. That mattered a lot, and not just to one man’s state of mind. The misgivings about the Union’s arrest of Confederate diplomats Mason and Slidell have already begun. Massachusetts Sen. Charles Sumner, no friend of the Confederacy, is among those who urge their release. Sumner recognizes the damage the arrests will do the Union cause in the eyes of Europe. As winter, with its impassable roads, approaches, both sides settle down for combat’s off-season. From Virginia to Missouri, scouting and foraging parties provide the only fireworks. Many shots are fired at elusive targets; few casualties result. Sickness takes more lives as soldiers shiver in the cold and rain, their tents and huts providing limited comfort. In these close quarters, farm boys who had built up few immunities to childhood diseases are vulnerable to illnesses carried into camp by city boys. At his headquarters in Cairo, Illinois, Brig. 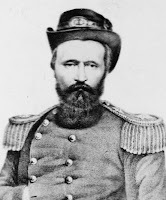 Gen. Ulysses S. Grant, commander of the District of Southeast Missouri, yearns for combat, but goes nowhere, awaiting arrival of the Department of the Missouri's new commander, Henry Halleck. (Unfortunately, the ever-cautious Halleck will offer the feisty Grant no encouragement.) For now, Grant busies himself with the never-ending paperwork. On this day, he will deal with prisoner exchange, safe conduct passes, and finances. Yawning ensues. Shortly after noon, two very angry diplomats step from the U.S. Navy frigate San Jacinto onto a dock near Fortress Monroe, Virginia, and into the center of what will become an international crisis. In the excitement today, however, the trouble these two will cause the Union is scarcely recognized. Instead, Northerners, who are hungry for a victory of any kind, are exultant at the capture of the Confederate envoys, James Murray Mason and John Slidell. The two were aboard the British mail steamer Trent and heading for England to seek British recognition of the Confederacy when the San Jacinto intercepted them. While the British captain swore furiously at the American boarding party, Mason and Slidell were forcibly removed from the Trent. The Trent affair will quickly turn into a huge embarrassment for the United States. Halting the vessel of a neutral nation and arresting two of its passengers smacks of piracy. An infuriated Britain will threaten war as British public sympathy sides with Mason and Slidell and the Confederacy stirs the pot for all its worth. Within a few weeks, a badly embarassed United States will ditch this hot potato, having learned that force of arms is not always the best substitute for diplomacy. So the United States will reap the bitter fruit of hasty action. Hundred of miles to the west, meanwhile, there occurs a change of long-term significance for the Army, particularly some Ohioans. On this date, a rising star in the Union army will take over command of the Department of the Ohio, relieving a frazzled William Tecumseh Sherman. The new commander (pictured at upper right) is Brig. Gen. Don Carlos Buell (named for an uncle, for whose name no good explanation has been found). Born near Marietta, Ohio, the 43-year-old Buell is a West Pointer who fought bravely in the Mexican War and who has made the army his career. Within a few days, Sherman will head to St. Louis to join the command of General Halleck, from whom he will get a less onerous assignment in hopes of calming his rattled nerves. Sherman will eventually emerge a strengthened commander and become one of the Union’s greats. Buell, on the other hand, will turn into one of the war’s paradoxes: a brave, professionally trained soldier, a great organizer and strong disciplinarian who will prove incapable of leading volunteer soldiers. He will join the unhappy company of failed commanders from both sides. Morgan, of Anna, Illinois, had enlisted in the 18th Illinois on May 30, 1861. He served as a sergeant until he was busted to private on August 1. Over the next few months he shuttled back and forth between the 18th Illinois infantry and the artillery, as if the army couldn’t decide what to do with him. But did Morgan have political influence of some kind? Contrary to Grant’s recommendation, the record suggests that the poorly performing soldier was not discharged, because in April 1862 Morgan will file a complaint that he had not been paid in eight months. Then, within days, he will desert, only to return in a few weeks. Amazingly, instead of execution (a punishment occasionally employed for Union deserters) or even dismissal, he will be given detached duty as “post engineer” in Jackson, Tennessee—suggesting once again the army was trying to tuck him away instead of discharging him. Morgan will serve as “post engineer” until his luck runs out with terrible finality on June 15, 1863, when he is killed in a railroad accident. On November 1, at the invitation of President Abraham Lincoln, Maj. Gen. George B. McClellan succeeded Winfield Scott as general in chief of all the Union armies. Now it is hardly two weeks later and on this Wednesday evening McClellan brazenly snubs Lincoln. The president had gone to McClellan’s house to meet with him, but McClellan wasn’t home. Lincoln waited patiently for him to return, but when he does, the "Young Napoleon" ignores his president and goes upstairs to bed. For McClellan to be so rude to the president—his commander in chief—is amazing, but more amazing still is Lincoln’s forbearance. The president says, “I will hold McClellan’s horse if he will only bring us success.” Decried by some as weakness, Lincoln's remarkable patience and ability to see the bigger picture will prove, over time, to serve the Union well. In western Virginia, skirmishes occur again at Cotton Hill, involving the 13th Ohio, but without casualties, and at Laurel Creek, involving the 12th and 13th Ohio, resulting in one Union soldier killed and two wounded. Stationed elsewhere in the region but not far away, Lt. Col. Rutherford B. Hayes is unaware of these clashes. Such was the nature of communications in an age of horses and limited telegraph service. In the nation’s capital, President Abraham Lincoln witnesses a torchlight parade honoring General-in-Chief. George B. McClellan. As he watches, Lincoln is probably wondering when McClellan is going to put his army to the use for which it was intended. McClellan never seems to think the time is right to move against the Confederacy. In Louisville, Ellen Sherman remains at her troubled husband’s side, awaiting the arrival of his successor, Don Carlos Buell. She sent the three Sherman boys home yesterday and has written Cump’s brother John, urging him to come to Cump’s support. In the western Virginia camp of the 23rd Ohio, Pvt. William Roach of Company I is killed by the accidental discharge of a comrade’s pistol. He will be buried nearby and after the war reinterred in the Grafton, West Virginia, Military Cemetery. Nearly a century and a half later, he remains there in Section E, Site 610. The war has subsided into low-level, localized clashes, important only to the men involved and the families who suffer losses. At Little Blue River in Missouri, a detachment of Kansas cavalry is drawn into a clash between secessionists and “Jayhawkers” (Kansas guerrilla fighters opposed to slavery) and seven cavalrymen are killed, nine wounded. And in western Virginia, a skirmish at Blake’s farm, Cotton Hill, involves the 2nd Kentucky and 11th Ohio. The affair ends with two Union soldiers dead, one wounded, and six missing. In western Virginia, much of the fighting ends as the Confederates begin moving troops eastward—in effect, confirming they are losing their grip on the area that will become the new state of West Virginia within two years. It is a serious blow to the Confederacy, not yet fully appreciated by either side. At his headquarters in Cairo, Illinois, Brig. Gen. Ulysses S. Grant sits down to write his report to Washington of the battle at Belmont three days before. He takes pains to praise various officers, by name, for their “coolness” and “soldier-like qualities.” To be "mentioned in dispatches" is highly prized by the soldiers named. In Louisville, Kentucky, Brig. Gen. William Tecumseh Sherman awaits the arrival of his successor, Col. Don Carlos Buell. 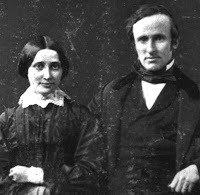 His wife, Ellen, who has rushed to his side, writes of her concerns to Cump’s brother John: “I am puzzled to know what to advise or hope for & I am distressed by his melancholy forebodings....His mind is certainly in an unhealthy state….He thinks the whole country is gone irrevocably & ruin and desolation are at hand…For God’s sake do what you can to cheer him….” Ellen's letter will bring John to Louisville as well. This is a big day in the organization of the Union’s western forces—and a stunning day in the career of William Tecumseh Sherman. The Department of War dissolves the Western Department and replaces it with several new departments: “Kansas,” under Maj. Gen. David Hunter; “New Mexico,” under Col. E.R.S. Canby; “Missouri” (including Arkansas, Illinois, and Kentucky west of the Cumberland River), under Maj. Gen. Henry W. Halleck, and—most significantly for Ohioans—“Ohio” (including Ohio, Indiana, Michigan, and Kentucky east of the Cumberland). Moreover, in Washington the Union's general in chief, George B. McClellan, has approved Brig. 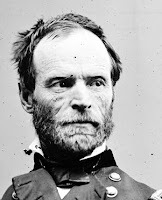 Gen. William Tecumseh Sherman’s request to be relieved from command, military affairs in Kentucky having strained the 47-year-old son of Ohio’s nerves to the breaking point . 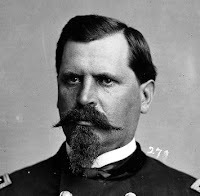 Ordered to replace Sherman, who is being transferred to General Halleck’s command, is Gen. Don Carlos Buell, yet another high-ranking Ohio in this war, and—to his eventual regret—a protégé of McClellan. Meanwhile, Sherman’s seeming hysteria has caused widespread talk of “insanity.” Yesterday, one of Sherman’s officers had wired Mrs. Sherman’s father that he should send Ellen “and her youngest boy” to Louisville. "There is nothing to alarm you but is necessary to turn Gen. Sherman's mind from the responsibility now resting upon him.” A worried Ellen left within two hours and, with sons Philemon, Willy, and Tommy in tow, arrives in Louisville at 3 a.m. today. In western Virginia, Lt. Col. Rutherford B. Hayes tells his diary it is “a beautiful fall day,” but interrupts his customary good spirits to note the death—presumably from sickness—of Capt. Wallis J. Woodward, “our hardiest officer….A sad loss.” On this day, 40% of the men of Hayes' regiment are not ready to fight, mostly because of sickness. By November 1, Grant had 20,000 men in his command, well trained, ready to meet the enemy, and hungry for action. So was Grant. “What I want is to advance,” he wrote. Today, he will get his chance. A few days earlier, General Frémont had asked him to block Confederate forces from crossing the Mississippi River from Columbus, Kentucky, while Frémont conducted a major operation against Gen. M. Jeff Thompson in southeast Missouri. In other words, Grant is to play second fiddle, merely creating “a demonstration,” while Frémont takes center stage by invading Grant’s own territory. Escorted by two gunboats, Grant had set out by steamer yesterday with four regiments of Illinois troops and one of Iowans, plus some cannon and cavalry. This morning, however, he receives welcome news: the Confederates at Columbus, Kentucky, had sent a force across the river to Belmont, Missouri. In Grant’s mind, that creates a reason for him to engage in battle instead of a mere “demonstration.” Grant may be exceeding his orders in doing so, but Frémont has just been relieved of command—so Grant happily steers for Belmont the Missouri side of the river, instead of Columbus on the Kentucky side. By mid-morning, Grant’s forces are attacking the Confederates at Belmont, the inexperienced soldiers pressing ahead in what turns into an uncontrolled firefight. As the bullets whiz by, Grant remains bravely mounted on his horse, riding behind the firing line and encouraging his men. But when the Confederates flee in disarray, Grant loses what control he had as his Union soldiers fall to looting the abandoned Confederate campsites. Then Confederate reinforcements from Columbus cross the river and launch an attack on the startled Yankees, some of whom panic. Grant remains calm, however, directing the return of the soldiers to their transport. He finds himself alone in front of the Confederates and only able to narrowly escape back to his steamboat. Grant’s horse leaps on the boat as it pulls away from shore. The Confederates pepper Grant’s steamboat before it chugs out of range and makes its way back to Cairo. Grant’s 3,114 men had encountered about 5,000 Confederates. The outcome is best described as a draw. Though the battle later will be called pointless, it was a valuable learning experience for Grant. Personally, he performed well in combat, remaining calm in the face of danger, but learned he would need to exercise more control in the future. And, unlike George B. McClellan in the east, Grant is demonstrating an eagerness to take the fight to the enemy. It is a sign of things to come. In the Confederate States of America, voters elect Jefferson Davis to a six-year term as president of their “permanent” government. Until now, he had been serving provisionally. The CSA offered only one political party and no opposing candidate to Davis. There is little tolerance for dissent in the Confederacy. Returning from his failed campaign in western Virginia, Gen. Robert E. Lee had net public derision as ”Granny Lee.” He is well regarded well enough by Confederate President Jefferson Davis, however, that today he is appointed commander of the new Department of South Carolina, Georgia, and East Florida. In less than a year, Lee will re-emerge in command in his beloved Virginia and begin a career of mounting fame. In western Virginia, Lt. Col. Rutherford B. Hayes records the toll sickness is taking on the 23rd Ohio. Of a strength—on paper—of 936 men, about a third are absent or incapacitated, leaving only 657 “present for duty.” Some of those absent because of illness will die. In the course of the war, twice as many men will die from sickness as from wounds in combat. From the camp of the 23rd Ohio in western Virginia, Rutherford B. Hayes writes his Uncle Birchard in Fremont, Ohio, of his promotion to lieutenant colonel of the regiment. Moving from a staff position as judge-advocate to one of line authority, Hayes is already thinking about the skills and responsibilities of command. Of Col. Eliakim Scammon, a West Pointer, Hayes writes, “The colonel of our regiment is a genial gentleman, but lacks knowledge of men and rough life, and so does not get on with the regiment as well as he might..” Scammon does not have the common touch with his men. Scarcely noticed by the North, Maj. Gen. Thomas J. "Stonewall" Jackson takes command of the newly created Shenandoah Valley District. Here, in the next year, he will build a fearsome reputation in repeatedly defeating Union forces. From his headquarters at Cairo, Illinois, Brig. Gen. Ulysses S. Grant occupies himself with orders to his commanders to pursue the pesky Jeff Thompson, reported to still be in southeastern Missouri with 3,000 men. “The object of the expedition is to destroy this force, and the manner of doing it is left largely to your discretion…” Grant writes one of his commanders. A Confederate sympathizer who is in Hayes’ camp on a flag of truce says he “entertains not the shadow of a doubt that the Confederate states will achieve independence.” His remarks suggest that Southerners have come to demonize Lincoln and regard him as the chief obstacle to reunion, as if there were no other serious issues. The demonizing of political opponents to obscure deeper concerns is a practice that will continue into the 21st century. A pleased Rutherford B. Hayes writes “Dearest Lucy” that he has been promoted to the lieutenant colonelcy (second in command) of his regiment, the 23rd Ohio. “I confess to the weakness of preferring…to be called Colonel to being styled Major,” he writes.